Flowers of the weeping broom Carmichaelia stevensonii, from here. Far in the distant past, I commented on a review of the New Zealand brooms of the genus Carmichaelia. The New Zealand brooms were placed by Wagstaff et al. (1999) in the tribe Galegeae, which includes more than 3000 species around the world. The vast majority of these are placed in the genus Astragalus, milk-vetches, which may itself have well over 2500 species and be the largest recognised genus of flowering plant. Other significant members of the Galegeae include the locoweeds (Oxytropis) and Glycyrrhiza, a small genus of less than twenty species that nevertheless deserves praise for being the source of liquorice*. *I am reliably informed that there are people in this world who do not appreciate the flavour of liquorice. There is simply no accounting for taste. 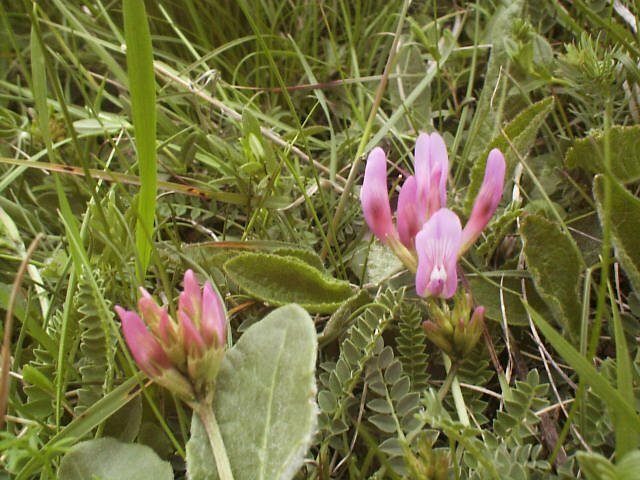 Flowers of Astragalus monspessulanus, from here. However, despite its wide recognition, phylogenetic studies of recent years have been unanimous in declaring the Galegeae polyphyletic. It is true that the vast majority of galegeans remain in a clade, with only a few relatively minor genera placed elsewhere (Wojciechowski et al. 2000). 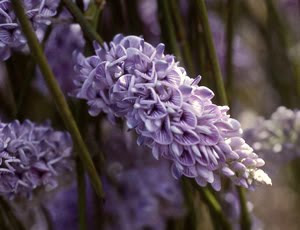 The problem is that one of those 'minor genera' happens to be Galega itself, the type genus and therefore sine qua non of the tribe, which is more closely related to the chickpeas of the genus Cicer. Wojciechowski et al. (2000) circumvented this issue by recognising a clade called Hologalegina, uniting the 'Galegeae' with other tribes such as Hedysareae, Trifolieae, Fabeae, Loteae and Robinieae. Within the Hologalegina, the taxa previously assigned to the Galegeae all belong to what is called the IRLC, the 'Inverted Repeat-Lacking Clade'. The name of this clade refers to the loss of a copy of the 25 kb inverted repeat in the chloroplast genome that is otherwise found in almost all other land plants. Members of the IRLC are largely herbaceous, and many of the most commercially significant legumes (such as peas, beans, lentils, clover and alfalfa) belong to this clade. Liquorice, Glycyrrhiza glabra, photographed by J. C. Schou. The flavour comes from the roots. Wagstaff, S. J., P. B. Heenan & M. J. Sanderson. 1999. Classification, origins, and patterns of diversification in New Zealand Carmichaelinae (Fabaceae). American Journal of Botany 86 (9): 1346-1356. Wojciechowski, M. F., M. J. Sanderson, K. P. Steele & A. Liston. 2000. Molecular phylogeny of the “temperate herbaceous tribes” of papilionoid legumes: a supertree approach. In: Herendeen, P. S., & A. Bruneau (eds). Advances in Legume Systematics vol. 9, pp. 277–298. Royal Botanic Gardens, Kew. I am reliably informed that there are people in this world who do not appreciate the flavour of liquorice. I'd think it'd make more sense to redefine "people" to exclude those who don't appreciate liquorice. Speaking as an apparent non-person, I will never understand how anyone can tolerate the taste of that vile substance called liquorice. Astragalus membranaceus root is one of the most important herbs used in Traditional Chinese Medicine. I am sure it is cultivated. Gum Tragacanth is made from from several species of cultivated Astragalus. Galega officinalis is available as a medicinal herb and is probably cultivated as it is so easy. I must be heterozygote for the liquorice love and hate alleles ;-) . I start by loving it and then after some chewing it makes me feel a bit nauseous. This is a memory from 35 years ago. In the village were I grew up in Spain there was always a liquorice stall where kids could buy the roots of different sizes, cut into convenient sized sticks. It was a common sight so see kids chewing the roots in the streets. 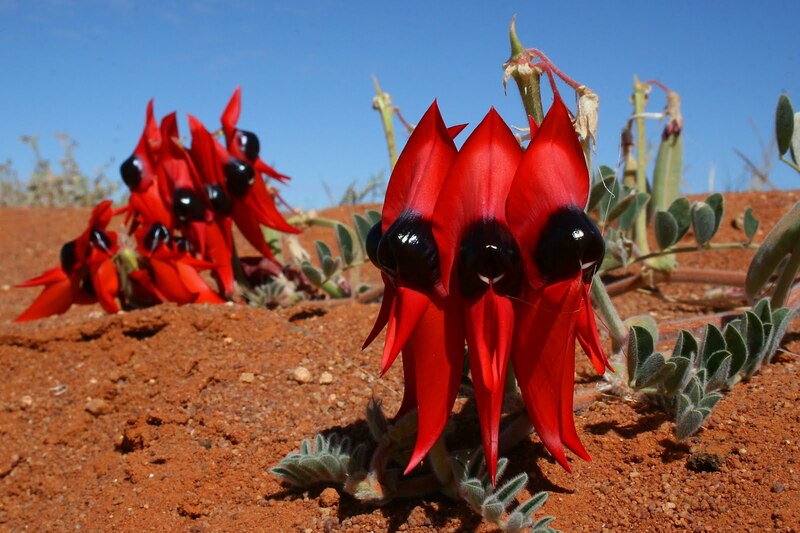 As for Sturt's Desert Pea, I have read that birds pollinate it, any idea which birds? How long is your lunch break? If your "partner" is your boyfriend, he's a lucky guy; you're handsome. I'm not clear if the liquorice you speak of is that nasty twisted candy, or if the root of that plant is another thing entirely; it is quite attractive. I'm one of those "people" who detest the taste, smell and consistency of that candy and the liquor of the similar flavor. I imagine eating it (the candy) to be similar to chewing a car tire, although I haven't tried one yet (car tire). Greetings from a guy in the U.S.A.